There is a repeated adage among researchers studying influenza outbreaks throughout history: “If you’ve seen one influenza pandemic, you’ve seen one influenza pandemic.” Each is very different, and to try to extrapolate from one to another is exceedingly difficult. Today, bird flu is back in the news, as it has triggered devastation in Midwestern poultry farms which has driven up the price of eggs. Luckily, it is currently more of an economic issue than a public health one. Years ago, another animal influenza epidemic wreaked even greater havoc on the country. In September of 1872, the first reports of horse (equine) influenza were described in Ontario, Canada. Like humans suffering from influenza, the horses were coughing, sneezing, wheezing, and feverish in what came to be called “The Great Epizootic”—an epidemic in animals. The outbreak would eventually spread throughout North America, reaching the west coast by March 1873, and travel as far as Nicaragua and the Caribbean. Like today’s globe-hopping infections, horse flu traveled first to large hubs via railroads, and fanned out from those cities due to individual horse movements from town to town. No treatment was available except rest—a difficult prospect for horses which had daily jobs to do, sick or not. Because horses were the lifeblood of transportation at the time, the economic impact was enormous. In an 1873 report for the American Public Health Association, Dr. Adoniram Judson collected anecdotes from around the country. He described reports of mail, groceries, and other freight sitting at docks, undelivered. Trains were idled because coal to power them was transported from mines to rail yards by horses. Physicians couldn’t reach their patients. Much of Boston burned as the fire wagons, pulled by men instead of horses, were unable to keep up with the fires that eventually destroyed 776 buildings in November of 1872. U.S. cavalry and the Apache Indians fought each other on foot, as horses on both sides were too sick to be ridden into battle. Though horses were the primary species infected, influenza infections were also reported to “jump” from horses to men, dogs, and possibly birds. At the time of the epizootic, the influenza virus had not been isolated (that wouldn’t happen until the 1930s). However, many epidemics of equine influenza seemed to precede human outbreaks by a few weeks, suggesting the virus routinely infected people. In the mid-1960s, following another explosive outbreak of influenza among U.S. race horses, experiments on prisoners confirmed that humans could be infected with equine influenza viruses. A decade ago, another equine virus spread from horses to dogs, moving from racing dogs to the family pet in a few short months. This virus is now very common in the pet dog population. While we’re no longer dependent on horses, equine influenza epidemics can still be devastating. 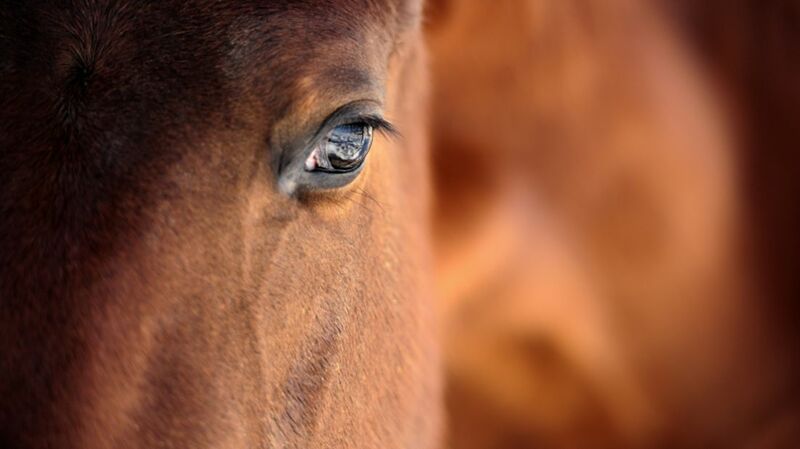 A 2007 equine influenza outbreak in Australia was called “the most serious emergency animal disease Australia has experienced in recent history.” 47,000 horses were affected in New South Wales at the peak of the epidemic. The racing season was devastated that year, though enough horses were vaccinated in light of the epidemic that the virus was eliminated from the country by 2008. And with a recent paper that again suggests the possibility of equine influenza spreading from horses to humans, we’d do well to remember the pandemic flu adage, and keep a close and fresh eye on influenza from pigs, from birds, and from our horses as well.